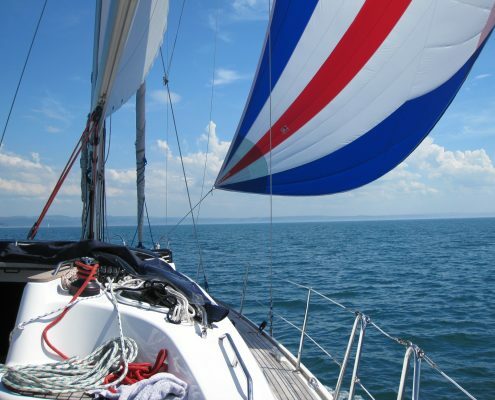 This intensive five-day theory course is a comprehensive introduction to cruising, intended for inexperienced or aspiring skippers who have some practical experience of sailing or motor cruising. The course equips you with enough knowledge to navigate around familiar waters by day. It is also the prelude to the RYA Day Skipper practical course. There will be some work to be completed in the evenings and at the end of the course there will be two examination papers to complete. If you are looking for a brush-up or a good introduction to navigation, this is an ideal course. If you are a crew member or partner who doesn’t usually sail or navigate, but would like to learn, this is a great starting point. RYA Day Skipper Theory course notes. Morning and afternoon tea and coffee. There are no additional course costs. Please note this course is non-residential. For details of accommodation nearby, click here. This course will give inexperienced skippers a comprehensive introduction to cruising. Pre-course experience: no prior knowledge required.